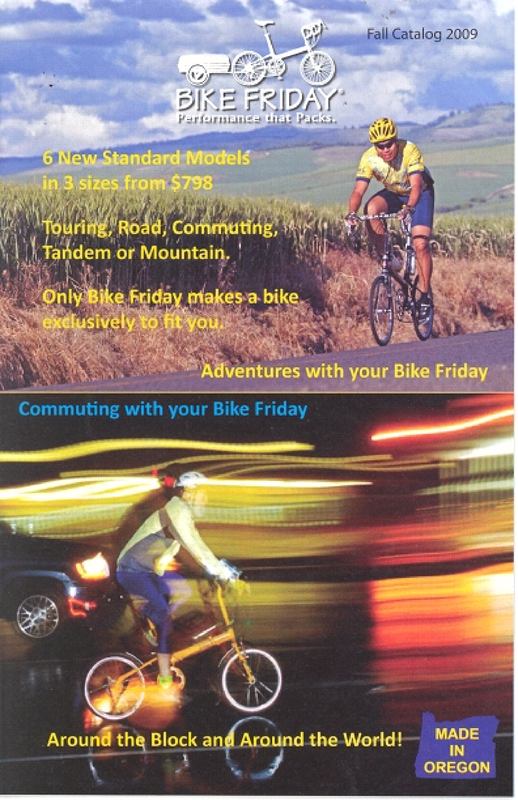 Bike Friday Fall 2009 catalogs are here! Get in touch and we’ll get one right out to you! The 15 page, full-color 5.5×8.5″ catalog includes our usual offering, the new standard bikes, ALL of the built to order tikit models, a chart to help your decision making process, and more great stories. I hope to have a PDF up on the website shortly but it may take a bit as we are in the process of improving the website (yey!). Within a week I’d say. it’s the Season for a new ride!